VW plans to expand its current range of electrified vehicles, including a successor to the battery-powered e-Golf in 2018 with much longer range, sources say. The current e-Golf uses batteries made by Panasonic and has a range between charges of 83 miles. DETROIT -- Global automakers are readying a new generation of mass-market electric cars with more than double the driving range of today's Nissan Leaf, betting that technical breakthroughs by big battery suppliers such as LG Chem will jump-start demand and pull them abreast of Tesla Motors Inc.
At least four major automakers -- General Motors, Ford Motor Co., Nissan Motor Corp. and Volkswagen AG -- plan to challenge Tesla to be first to field affordable electric vehicles that will travel up to 200 miles (322 km) between charges. That is more than twice as far as current lower-priced models such as the Nissan Leaf, which starts at $29,010. The new generation of electric cars is expected to be on the market within two to three years. To get a Tesla Model S that delivers 265 miles (427 km) on a charge requires buying a version that starts at $81,000 before tax incentives. Most electric cars offered at more affordable prices can travel only about 75 to 85 miles (121 to 137 km) on a charge -- less in cold weather or when drivers have the air conditioning on. Consumers who travel longer distances fear getting stranded, a sales-killing concern automakers call "range anxiety." Range anxiety is one reason only about 67,700 electric vehicles were sold in the United States last year. That was about 0.4 percent of the 16.5 million new cars and trucks sold. Automakers need to pump up electric vehicle demand significantly by 2018. That is when California and eight other states will begin to require the companies to meet much higher sales targets for so-called zero emission vehicles -- in other words, electric cars -- and federal rules on reducing fuel consumption and greenhouse gases become much stricter. None of the four automakers contacted for this story -- Ford, GM, Nissan and Volkswagen -- wished to comment on future products or other related matters. 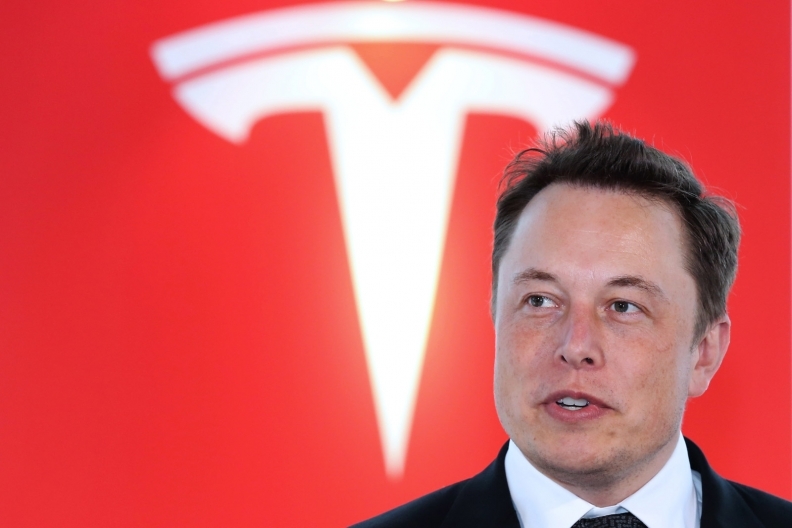 Musk: "200 miles is the minimum threshold" to alleviate consumer concerns over EV range. Tesla CEO Elon Musk said last week that "200 miles is the minimum threshold" to alleviate consumer concerns over EV range. There is "a sweet spot around 250-350 miles that's really ideal," he said. Musk has promised a more affordable Tesla, the Model 3, which will sell for around $35,000 and provide a driving range of 200 miles or more. That car is slated to begin production in mid-to-late 2017. However, GM says it plans to field a 200-mile electric car, the Chevrolet Bolt, by late 2016. The Bolt will use an advanced lithium ion battery pack developed by Korea's LG Chem, which also supplies batteries for the Chevrolet Volt hybrid. The newer batteries are said to have much higher energy density and provide much longer range between charges, thanks to breakthroughs in battery materials, design and chemistry, according to a source familiar with LG Chem's technology. "Several factors are at play that are landing at this 200-mile range" for a vehicle priced between $30,000 and $35,000, LG Chem CEO Prabhakar Patil said in an interview. "We've been talking to several OEMs (automakers) regarding where our battery technology is and where it's going." LG Chem also supplies standard lithium ion batteries to the Ford Focus Electric and may supply the longer-range batteries to a new compact EV that Ford is tentatively planning to introduce in late 2018 or early 2019, according to three suppliers familiar with the program. Compared with the 2015 Focus Electric, which has a range between charges of 76 miles, the new compact electric model would have a range of at least 200 miles, the suppliers said. Nissan and VW both have battery supply deals with LG Chem, and both are working on longer-range EVs for 2018 and beyond. Nissan is planning to introduce a successor to the Leaf in early 2018, according to a source familiar with the program, and that model is expected to offer significantly greater range than the current Leaf, the best-selling electric car in the United States, which can go 84 miles (135 km) between charges. The 2015 Leaf uses batteries made by a joint venture between Nissan and supplier NEC. It is not clear if the future model will shift to LG Chem, although Nissan CEO Carlos Ghosn has identified LG Chem as a potential battery supplier. 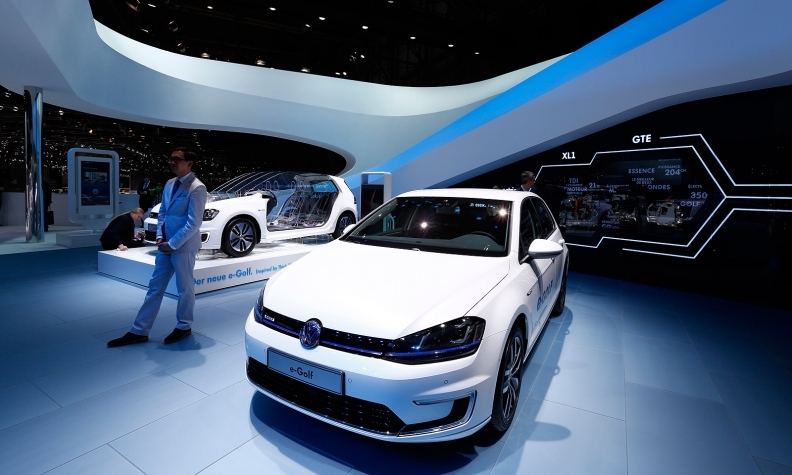 VW plans to expand its current range of electrified vehicles, including a successor to the battery-powered e-Golf in 2018 with much longer range, according to two sources familiar with the program. The current e-Golf uses batteries made by Panasonic and has a range between charges of 83 miles.